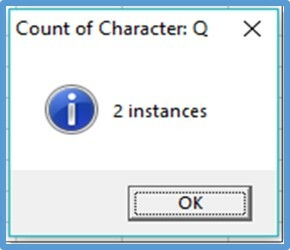 This post demonstrates an Excel VBA macro to count the number of instances of a specified character within a range of cells. 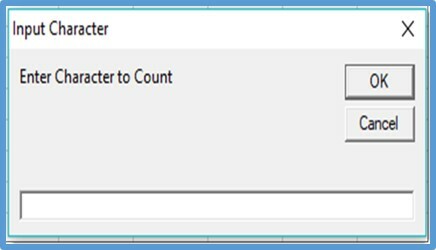 The macro prompts the user to input a character, then will loop through each cell and accumulate a count of instances the specified character appears. The final count is then displayed in a message box. For this example, I will enter “Q” and click OK. The search is case sensitive, and requires a single character entry. 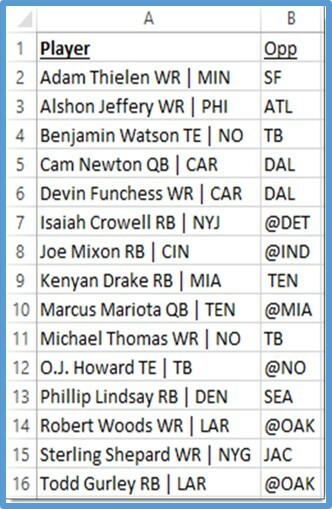 Feel free to modify to suit your needs!